Deltek Costpoint is an ERP Solution for project accounting, labor management, manufacturing and business intelligence that help keep you compliant while improving visibility, efficiency and profitability. "Deltek Costpoint - Flexible Option"
The flexibility of the software. Many modules and add-on products allow companies to create a solution that meets the needs of the company from payroll/human resources to contracts & subcontracts. While the payroll module does have some limitations, it is a great solution for in-house payroll. The pricing structure is not great for small businesses and can be cost prohibitive. Support in some areas is lacking. However other areas (especially Payroll) support is outstanding. We have a designated "customer liaison manager", but they seem to change often. Look at the modules included with Costpoint before looking at any add-ons. Contact third-party consultants for implementation options. Attending the Deltek InSight conference is a great way to see what is available in Costpoint, and what is available for add-on products. We have been able to integrate payroll, human resources, purchase orders, contracts management into one solution. Cognos report writing is a great feature that pulls the information from Costpoint using custom and "canned" reports. Once further solutions, such as on-boarding, are implemented, we will see an even greater return on investment. Great way to organize information ranging from Finance to HR to even Contracting. I don't input any of the information but it is very helpful to me when pricing proposals because I get a snapshot of historical information on our contracts and can even use it as a job sheet to track how well we are doing financially on each contract. The consultants that set up our software for us did not do very well and so we have had to reach out to them constantly and they charge us each time we reach out for help. We have an experienced user that joined our team and she said the setup was done very well and it takes up a lot of our time and money to try and fix these problems. It's great, just make sure it is set up correctly so you don't run into problems while trying to use it! Tracking progress on our contracts by comparing how well we are doing financially with how well we planned to do. We do manual job sheets and I use Deltek to update them. We would like to eventually learn how to put budgets in if we can ever find help without having to pay a consultant thousands of dollars. It has been helpful to have an organized system to track our progress. I love the capability to look at my project data at specific levels or to roll it up to the top level. This allows management to see just what they need and not have a lot of extraneous data. It allows you to really personalize how you want your project information set up. What I dislike is closely related to what I like about Costpoint. You can easily get lost in the multitude of menus. If your are not careful you can easily mess up the whole process with one change. Although the error notifications are really good at preventing this from happening often! Deltek Costpoint is an amazing system. Make sure that you review what you need your software to do and then examine if it is the best fit for what you need. Look at your company processes to choose the best integration process. Meet with several integration consultants to find the one that understands what you company's needs during the integration and testing process. Also make sure that your staff is properly trained. Deltek provides many ways in which to gain the required training from Deltek University to webinars, white papers, and highly knowledgeable consultants. The additional characters have given us more depth to grow and add new projects. We have been able to increase our report potential for project management by having a more detailed look at the project at specific times. We are working on streamlining our billing process. First of all the customer care is nothing you will find anywhere in the marketplace. The time taken for each customer to fund solutions is above and beyond. A host of options that allow any organization to customize and use the system to meet their needs. The system provides solutions out of the box. Included are tools to customize canned reports and add integrations for every module. Extensibility is something recently introduced to users that makes the system even more powerful today. The seamless integration with all products makes the entire system even more powerful using Time & Expense along with the Budgeting and Planning add-on. User interface isn't the most innovative and is under development. There is some work required upfront that requires users to answer key questions and is critical to the success of the product being used. That was unexpected, and challenging to end users trying to balance their normal duties along with providing business requirements. Adding licenses can also be an unexpected cost as they are higher than the initial purchase price and maintenance must be paid for the additional seats when obtained. Customers have no control over this and if not allocated in the budget, it can be a surprise. The in-house consulting services are excellent, however the rates charged are generally higher than 3rd party consultants they outsource to (which are former Deltek employees). There are many products available in the market place. Deltek Costpoint meets and exceeds limitations of other products available. The core product allows any business to start quickly. The optional add-on modules provides flexibility to customize the system and maximize your return on investment. Electronic storage of critical documents supporting various needs to make quick decisions. Real time reporting allows program managers to see exactly where they are at all times. It is critical to have this information available to end users in a simple and easy to use system. Costpoint is very accessible, easy to use and self explanatory. It is a commercial item that the company uses for time sheets and management. It allows the managers to review timesheets once they are signed and authorize the okay to what hours were stated and not stated by the employee. There is nothing about the costpoint that I dislike per say. However, I do wish the company used more than just the timesheet and management feature rather than having many different systems instead. I do not like Costpoint very much, but the ability to setup different plans, locations, etc. is pretty simple. The setup of a new employee is convoluted. The system is not very user friendly, and there are several fields that need to be filled out in order to accomplish the same purpose. One field never drives another, and things cannot be pre-populated - at least not the way our company has it setup. Also, once and item is in a list, it cannot be made inactive. Our company has had a merger and several acquisitions so there are many values we no longer use, but need to be kept for historical purposes. We should be able to make those inactive so that they do not show up on lists for new hires. Since that cannot be done, we have to just know from memory what cannot be used. It is a robust system, but it is not user friendly. Make sure you have someone technical who will be using it. We use it to calculate our payroll and drive our accounting and PTO. It can hold a lot of historical data which is nice, and while separate, the reporting from Cognos is pretty robust. This is such a decent product used in accounting department. I am in the finance team using this one to create charge code for employees so they can charge their expense to the project. I also use this program to take a look on Purchase Requisition and Purchase Order which normally managed by Account Payable Department. It works pretty well and the program is reliable. Since I am still a new user of this product (Less than 1 year of experience). I still find it kind of hard when performing work on this program. However, I noticed that this program is awesome and it protects some error when coding data to the program. I think this is a good program that your company should consider and give it a try. I have a confidence that if you are looking for the program that can prevent the data from unauthorized users and can keep track on the data, this is one of the good choices you may want to consider. - It gives you the protection in a way that if you haven't linked the account code with project code before and you are about to code it for the first time, it alerts you as an error so you have a chance to consider if what you are coding is correct or not. - It gives permission on how much you can have access to the program. - It works well and links to CER. I like that the new version prints checks, reports etc. in the PDF version before wasting all the paper of having to print it out first. It allows you to review before hand to see if that is really what you really want before confirming anything. I like how you are able to enter descriptions in your vouchers to detail out what the voucher is for or what the voucher is paying. So for future reference you are able to go back and see why it was posted or who did it. I dislike that it doesn't allow duplicate checks and that you have to always check that box. I also don't like that you have to run zero dollar checks separately to clear out corrections. They use to be included in the normal check run process. I also dislike that you cannot reverse a credit in system, so it makes it difficult to make corrections sometimes. Sometimes I dislike some of the error messages that pop up and it doesn't detail out what the issue is but it won't allow you to move on until you fix the problem. It just puts a big red box around the problem but that is it and a small description of the problem at the bottom. It think it needs more details as to what is needed to correct the issue. I would say go over everything in the system and make sure that it fits your needs because sometimes I do not things that everything was reviewed before hand before they decided to upgrade and some of the new features make our jobs a little more time consuming. I work on cutting the payments to our vendors and creating the files to send to the bank. I create the preprocessor and the cash disbursements. If you have to do anything beyond the normal steps of putting in your time, it can be a little difficult to work through the sub menus to access other time trees. It's a good system to use if you're looking for something that's a simple set up for your employees and not difficult to navigate. Can be helpful if you have other Deltek products that your company uses. The main screen interface is fairly easy to decipher and navigate since it has large, clear, graphical buttons taking the user to areas within the software. Most of the user experience is attempting to figure out how to find the information one needs since data is often buried behind windows and links. It is difficult to find what one is looking for, and the GUI while searching for project related information is not intuitive. Contract management - all contract data is enetered into Costpoint, and it is the main database for contract information, including accounting/financials. Deltek allows one to take care of daily timekeeping and expense needs using a convenient web interface. Due to the fact that no software client is required, Deltek can be accessed from any computer and there is even a mobile version of Deltek that can be accessed from a phone or tablet (or a regular computer for that matter). A variety of reports are available that can be used to display personal timekeeping and expense information as well as information for subbordinate employees. Frequently used charge codes can be favorited and they can even be configured to autopopulate. When creating expense reports, one can select a previously recorded expense report to be used as a template. When recording expenses, it would be nice if there were a copy/paste function so that repetive expenses such as daily commute costs could be recorded more easily. In the mobile version of Deltek, there is no method for approving expenses, in fact, I am not even notified that there are expenses awaiting approval. Finally, I find the changes made to my timesheet when amending to be somewhat confusing and difficult to look it. Although technically correct, I think that maybe just crossing out the original time entries would be easier to process visually. At my workplace, Deltek is used to record time worked and expenses. Given that Deltek is accessed via the web, these items can be recorded anywhere and managers are able to see what their employees enter immediately. Deltek has built-in approval mechanisms that allow managers and auditors to ok timesheets and expense reports so that customers can be billed and employees can be payed. The reports cannot be converted to excel from within Costpoint. One has to either create a PDF and convert to an excel offline and also the system printing a cover page each time you select the print option. This should be an option one can turn off or chooses so as to save on paper. Get the setup right from the beginning especially your project set up. A lot of errors are incurred with the initial setup and if you are a user and are not aware of the errors, you cannot be able to realise the impact this will have on your reporting and accuracy as you process your day to day work. Truing to use other software for report writing. The integration of T&E has helped tremendously in uploading timesheets directly to CP reducing errors and faster processing of labor distribution. Also being able to automatically export changes in the peoples application when you make updates back to T&E has also helped in reducing errors and duplicate entries. "Admin and User in Accounting"
Project management for federal contracting and grantees which incorporates various agency reporting. The steps are complex and not intuitive. I like the single signon integration. I'm waiting for the bugs to be worked out. As you move to a more user friendly processes, I think CP will begin to be all that we need. Also, we have multiple funders and it's not easy to make this work. If you could incorporate this functionality, I would be a very happy CP user. I'm able to provide realtime data to program managers. Have implemented PO process that is initiated by the program staff directly in the system,. Honestly, I do not know how payroll was able to produce paychecks before programs like Deltek Costpoint were available. I can see how the paying of employees and taxes and project cost tracking processes are able to be handled by this program. From a user's perspective, I absolutely must enter my time on a daily basis, because tracking hours worked against project numbers is critical to my success. I'm located two time zones away from Corporate, so I really like the approval workflow. I dislike the layout - even when I stretch or shrink frames I'm error prone because there is too much scrolling required. If you are a Deltek user, enter your time every day. Online is allowing me to meet deadlines even though I'm three time zones away from corporate. Once you learn all of the quirks, it's very easy to use. The ability to add notes to each line is the helpful. The ability to add what seems like an infinite amount of charge lines is great. The loop you can get stuck in getting locked out of your account and resetting your password. It's happened to me and felt like an endless cycle. The current version we are using is cloud based. A great time keeping and expense program. Much better than other products, as this is mainstreamed into allowing managers too directly (and quickly) approve request. There are several other functions that are able to be used that we (at my department) do not currently use, such as requesting vacation (and mangers approving such request), as well as tracking an employee’s work schedule, in case they are working at several different sites. It can be a bit confusing to our new hires, when they are trying to navigate through an Expense request. The system takes a little getting used to, and there also seems to be a lack of any type of spell check fiction. Over all this products allows our company to gather all the various timecard information from many different billable types of individuals and present it to our Government client rather easily. Business solutions have been made from keeping track of data efficiently. Benefits are the query searches and accurate loads of data. "Functional Support for 3 years, Procurement Manager (User) for 2 years"
Over time we have be able to analyze our data better. Which starts with capture all of our data correctly. Also the system is great for our company to manage and approve travel. The functionality to update some of the system requirements are not user friendly or easy to change. Deltek Expense and Time Keeping are great for any business that has employees across the globe. You can also log in on your phone or from a computer which makes it easily accessible. "Costpoint is effective for the most part"
It’s very easy to input new projects and track accounting-related issues. The system interface, although effective, seems very dated. It could certainly use an upgrade. It just doesn’t feel fresh. Definitely learn to use and undergo as much training as possible before use. It’s easy to pull reports to find the data you need. I don’t like how many steps it takes to get to the data I am needing or the report I’m trying to pull. I pull division data that I need so help me understand labor charging and properly calculate labor rates. "Pros and Cons of Deltek CP"
"CostPoint for Project based business"
I am pretty impressed by the variety of capabilities of CostPoint to handle domain specific data of project based industries, specially the DCAA audit needs of GovCon industry. We highly recommend the ERP for all contractors in US and other countries. We help GovCon industry to set the accounting and systems right, with DCAA audit support and Forward Pricing support. We find that CostPoint cannot be easily replaced by any other software. "Expense report is not user friendly." I like Concur better than Deltek Time and Expense. I like Concur better than Deltek Time and Expense. Concur can accept different formats of receipts and can convert them into useful supporting documents. In addition, it allows users store receipts while on travel and before approval. Time sheet module works well, especially auditing features and being able to email those users who have not compliant with time sheet policy. "Costpoint 7 is worth the upgrade"
Some of the functions don't always work properly and unnecessary warning notifications when processing vouchers. Use training materials provided to better understand how the system communicates. Systems work across languages, regions, and time zones, which is effective for MNCs. For the most part, it is very easy to look up your charge code, enter your hours for the day, and submit. The site as a whole is a bit difficult to navigate outside of the timesheet. It's simply an easier way to enter and record hours on your timesheet. The software is great once its setup correctly - calculations and reporting is accurate. We are in the cloud and the updates happen without notice and have been changing settings within our file which has caused huge headaches and many mis-reported items. the program is very cumbersome and requires a lot of input and monitoring to maintain accurate reporting. All financial and timekeepting aspects of our company. The manufacturing tracking is good. 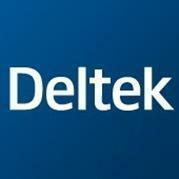 I like that Deltek is made for government contractors and for the most part, it is a simple system to use. The issue with Deltek is that the reporting is very complicated, some parts of not user friendly and the system is very outdated. It is great for government contractors as Cospoint allows for a breakdown between different contracts. I have used the ESS system and it worked well for employee personal changes/open enrollment. It is easy to move from one screen to another and there help screens for each task that you wish to perform. I am just a user that has been trained how to do specific parts of tasks, I hear that it has expense reporting that we don't use because other software has more of what we need. "Worked for Our Application "
Delete was pretty straightforward and user frequently. Great for managing purchase orders and expense reports. There were certain issues when it came to rounding that would leave purchase orders hanging open or prevent from letting us close out packing slips to show we had received our order. Tracking expenses for the company and for client projects. "Excellent Quick Start implementation with great support from Deltek Consultants"
Excellent PM and consulting support from Mike Palmer, Phyllis Thompson, Dennis Blough, Greg Skruck and Mike Morrow. No dislikes with Costpoint. It fully satisfies our requirements. "Very customizable to handle any configuration"
Drill down reports, voiding a check, automated purchase requisition workflow via email. It integrates the different data silos to enable the various departments to work together easier. The annual conference is fabulous for learning about the products, the industry, and the direction the technology is headed. They do not provide any services to support the use of their software, just the software and troubleshooting assistance. for small business users, it might not be so easy to adjust from an accounting software as user-friendly and flexible as QuickBooks to Costpoint. Not much to recommend. They system is clunky with poor user interface. Clunky user interface, slow, dated looking. There is an Android compatible, web-based client that makes updating timesheets on-the-go easy. It has become very easy to use once charge number are assigned. Relies on administrators to assign charge numbers. It also requires multiple logins just to add time or travel to timesheet. "Timesheet Revesal" appears messy -- old data remains with negative numbers and adds new lines and for corrected time. Only timesheet I've used in my career. Nothing whatsoever. I cannot think of a redeeming quality for Deltek. The slow, clunky UI. Too many screens to click through to submit a single expense. Cannot delete lines on timesheet once saved. It's easier for billing our clients for time and expenses. "Enjoyed the experience for the last 15 years"
The menu paths make sense to run day to day operations. Also, the reporting is simple to understand and also understood by DCAA. Cognos reporting seems cumbersome. Hard to locate the data I am looking for. Deltek offers a comprehensive database of federal acquisitions intelligence. * We monitor all Deltek Costpoint reviews to prevent fraudulent reviews and keep review quality high. We do not post reviews by company employees or direct competitors. Validated reviews require the user to submit a screenshot of the product containing their user ID, in order to verify a user is an actual user of the product. Hi there! Are you looking to implement a solution like Deltek Costpoint?